Hub Arkush is one of the most respected NFL analysts on the air. He joined Pro Football Weekly in 1976, and became the publisher and editor for the publication in March 1979. That same year, he began his radio career. In 1987, Arkush became color commentator on Chicago Bears Radio network and broadcasted Bears games through the 2004 NFL season. From 1990 to 2003, he co-hosted the Chicago Bears Weekly television show. 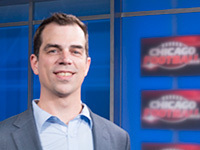 The two-time Emmy winner launched Chicago Football Magazine and Chicago Football.com in March 2014, and is currently the editor and general manager of Pro Football Weekly. 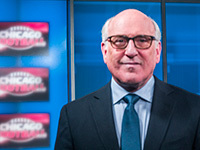 Arthur Arkush joined Chicago Football in 2014 following an eight-year stint at Pro Football Weekly. Beginning in 2009, He covered NFL and fantasy football in print, online, television and radio for Pro Football Weekly. Arthur is a fantasy football writer and podcast host in addition to a regular contributor in Pro Football Weekly's NFL, draft, and Way We Hear It segment coverage. 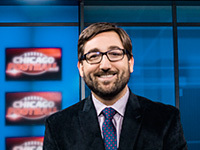 He is in his fifth season covering the NFC North for USA Today Sports Weekly. He is also an avid Cubs fan and loves live music. Arthur currently resides in Chicago's west suburbs with his wife Josie, his son Spencer, and their family pets. Eric Edholm has covered the NFL since 1999. After starting with The Sporting News, he moved on to Pro Football Weekly for a decade. Eric also has covered the league for Yahoo Sports, Wall Street Journal and 120 Sports. He's a University of Missouri graduate and has been a Chicago native since 2002.